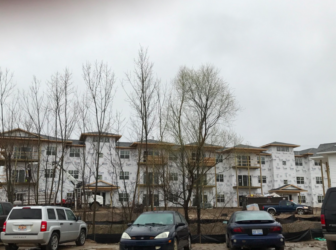 Construction on Willoughby Estates continues on April 4. Photo by Claire Barkholz. 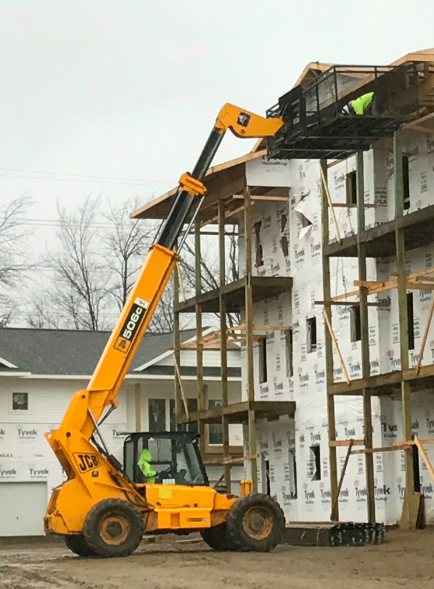 Construction is underway on a $38.5 million apartment complex going up in Holt called Willoughby Estates. The complex is planned to be completely finished by March 2018. Some of the buildings however, which will include around 100 units, will open early in September of this year. According to the 2015 Census the average Holt resident commutes 24.3 miles to work. Holt is a bedroom community, meaning that since it is a suburb of Lansing most people that live in Holt commute to work outside of their home town. The community up until this point has not strayed far from their neighborhoods of stereotypical two-story houses that fit a four-person family. 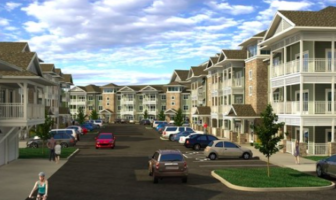 Construction on the Willoughby Estates apartment complex takes place on April 4. Photo by Claire Barkholz. This type of living facility is something new to the Holt community, and the hope is that it will invite new types of people in as well. According to Rudolph, the apartments will range from one- to three-bedroom units, with rents starting at $850 a month. The cottages will rent for $1,500. The space and resources needed to build this type of complex in Holt have never been available until now, and the developers are ceasing the opportunity. Despite the wind and the rain, workers continue construction on the apartment complex on April 4. Photo by Claire Barkholz. 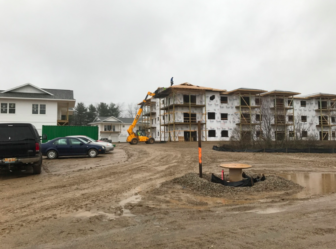 The apartment complex will be located on the 22-acre property along Willoughby Road between Pine Tree Road and the railroad crossing east of Sycamore Trail. The property has three man-made lakes, and the Lansing River Trail crosses through the front of it, which Rudolph expects to be appealing to prospective tenants.